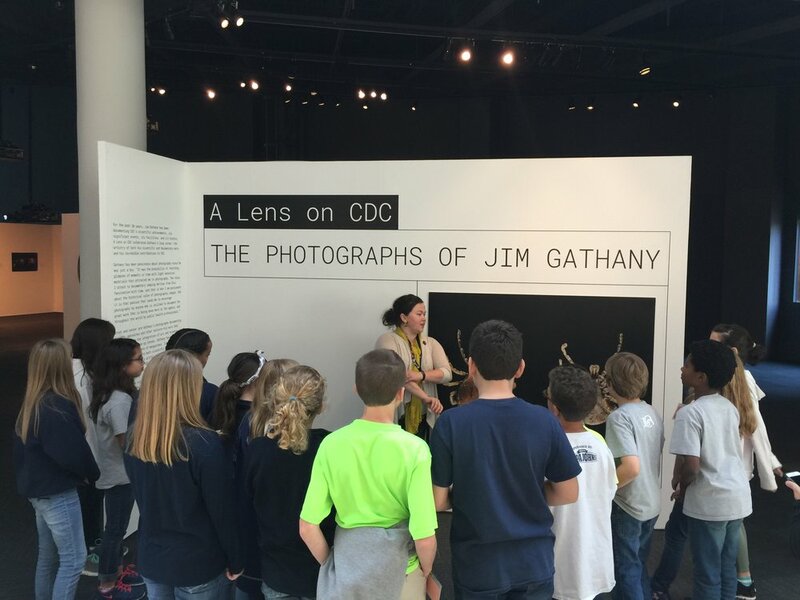 This week, our 4th and 5th grade Journey students traveled to the Centers for Disease Control and Prevention (CDC). The students toured the facility and learned how diseases are spread as well as how they can be eradicated. One of the diseases that the students studied at the CDC was Polio. The students viewed the Iron Lung and learned how this machine aided people in breathing who had been affected by the Polio virus. 4th-grade student Helena Meier, loved the scavenger hunt the most because “we learned a lot.” The Scavenger Hunt was designed to teach the students about the work and photography of Jim Gathany. Mr. Gathany used powerful close-up lenses to capture scientific documentation and works of arts for such insects as mosquitoes, lice, and ticks. “I liked learning about the ticks and mosquitos because we see them every day,” 5th-grade student, Anthony King. One of our LCA parents, Mr. Joey Smith, works at the CDC and concluded the tour with a presentation of his work. “I love how I see the hand of God in the science that I study on a daily basis," said Mr. Smith.